GRANBY – October 2, 2014 – Results of SKI Magazine’s annual reader poll conclude that North American resorts using PRINOTH snow grooming equipment consistently rank as the top resorts in the country in grooming-related categories. In this year’s survey, resorts employing PRINOTH equipment completed the entire top 10 list of best terrain parks on the East Coast, and took eight of the 10 top places within the “best groomed resorts” category. “PRINOTH is committed to providing the best in snow grooming equipment. These rankings demonstrate how using PRINOTH products can be a key differentiator for resorts interested in offering their guests a high quality grooming experience. No matter how big or small a resort is, skiers and snowboarders come for one reason – the snow. 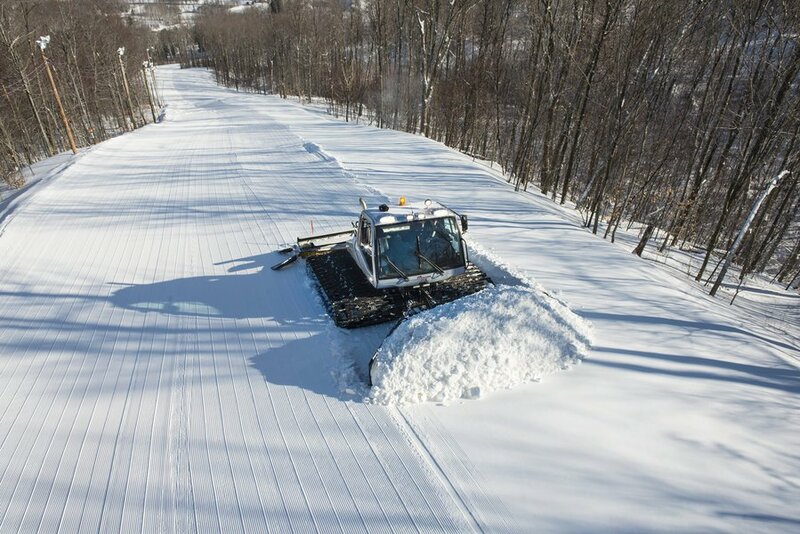 Our machines clearly offer a premium finish,” stated Dave Hunter, Director of Snow Grooming, PRINOTH North America. Within the survey, readers were asked to evaluate resorts based on criteria established to judge grooming performance. The results voice the opinions of skiers and snowboarders related to the quality of grooming at the resorts they have visited, with Deer Valley, UT, Sun Valley, ID and Beaver Creek, CO representing the top three “best groomed resorts” in the West and Bretton Woods, NH, Okemo, VT and Sunday River, ME, all PRINOTH customers, taking top honors in the East. Among resorts in the East, readers were also asked to rank the top 10 resorts based on “terrain park construction.” Resorts filling in the top three places include Seven Springs, PA, Mt. Snow, VT and Tremblant, Quebec. 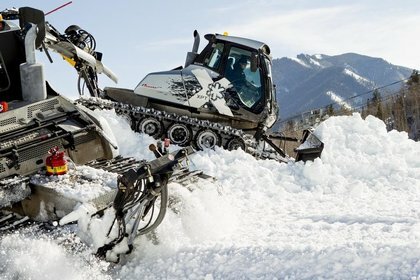 All three resorts use PRINOTH snow cats to build and maintain their parks. 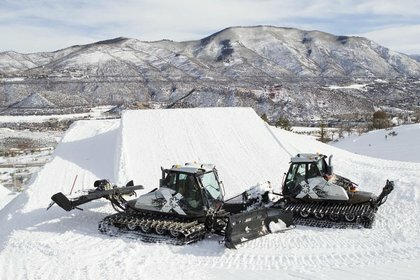 PRINOTH continues to lead the industry in providing snow park specific machines, and recently announced it will continue its partnership with Snow Park Technologies (SPT), the world’s leading consulting team for special projects on snow. The collaboration aims to develop and deliver the ski and snowboard industry’s most innovative and efficient snow groomers. Since the early sixties, PRINOTH has been at the forefront of building innovative and reliable snow grooming equipment, and has been consistently recognized as the Number One snow groomer in North America for the past 20 years. Whatever the conditions are, PRINOTH snow groomers transform the slopes to offer guests the ultimate ski and snowboard experience. PRINOTH’s snow grooming expertise and constant innovation in the pursuit of perfectly prepared ski slopes worldwide is evident in the consistently high marks awarded to resorts using the company’s equipment to groom ski slopes, as well as build and maintain terrain parks. For more information about PRINOTH, visit prinoth.com. Globally competitive, high-tech companies under one roof. Our group, High Technology Investments (HTI), concentrates on selected market segments in ropeway fields: ropeways (LEITNER ropeways and POMA), snow groomers, vegetation management products and tracked utility vehicles (PRINOTH), snowmaking systems (DEMACLENKO), public transportation systems (MINIMETRO) and wind power plants (LEITWIND). Through strategic coordination and networking within the group, these segments benefit from valuable synergies, which make us the world’s first single-source supplier for winter technologies. We have a worldwide presence based on 63 subsidiaries and 127 sales and service points. Our production locations and offices are found in ten different countries, all centralized to our markets: the Alps (Italy, France, Austria, Germany, Slovakia), Scandinavia (Sweden), the USA, Canada and China, and in India as a dynamic windpower country. One of the group’s main strengths is the workforce with 3,195 employees.